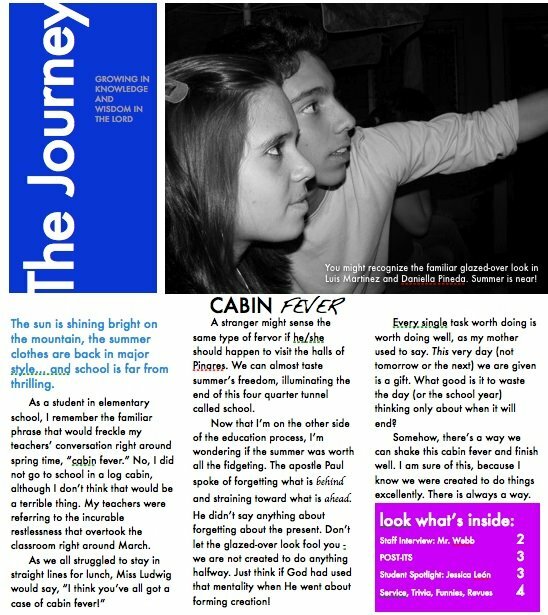 Here are a few articles that have appeared in the guidance newsletter (The JOURNEY) I started. It’s slowly picking up steam at the same time that the circulation is severely decreasing. Our printing quality is greatly lacking, but I think they are still getting read (or at least that’s what I tell myself)! When was the last time you were moved? I’m not talking physical movement. When did you last feel drawn into action out of love? You may have just read the questions above and replied, “Never.” But, dream with me for a moment that it is possible to be moved to act out of love. Some of us just returned from the Bagope retreat and we’re fired up about the lights we have shining within us. We had a weekend jam-packed with laughter, friendship, and (of course) emotions. We were confronted in different ways with the things God is asking us to give to Him, to release, or to confess. We lit our “candles” with the light of Christ and vowed to be changed forever. But, as we return and the emotions fade, those commitments we made in earnest now seem close to impossible in this darkness. At the campfire, one student shared her frustrations with wasting time – wasting the present. There will never be a time where doing what is right is easy or comfortable. Even so, God commands our love to be one that is expressed through our actions. What is your love moving you to do? Forgive a friend? Speak to your father? Start giving your time to a cause outside yourself? As a child of God, our faith is expressed through love. God gives us everything we need to go and do (and He commands it in His word – James 1:27). So what is your love for God moving you to DO? When did you last care for something or somebody without caring if they returned the favor? This kind of love is contagious, leaving in its wake eternal change. Please, don’t take my word for it. Search God’s heart to find how He is calling your love to be movement. The sun is shining bright on the mountain, the summer clothes are back in major style… and school is far from thrilling. No, I did not go to school in a log cabin, although I don’t think that would be a terrible thing. My teachers were referring to the incurable restlessness that overtook the classroom right around March. A stranger might sense the same type of fervor if he/she should happen to visit the halls of Pinares. We can almost taste summer’s freedom, illuminating the end of this four quarter tunnel called school. Now that I’m on the other side of the education process, I’m wondering if the summer was worth all the fidgeting. The apostle Paul spoke of forgetting what is behind and straining toward what is ahead. He didn’t say anything about forgetting about the present. Don’t let the glazed-over look fool you – we are not created to do anything halfway. Just think if God had used that mentality when He went about forming creation! Every single task worth doing is worth doing well, as my mother used to say. This very day (not tomorrow or the next) we are given is a gift. What good is it to waste the day (or the school year) thinking only about when it will end? Somehow, there’s a way we can shake this cabin fever and finish well. I am sure of this, because I know we were created to do things excellently. There is always a way. Previous Post Previous post: may already!? !